When you arrive at 21 Medalist Court youâll know you are home. The elegant pineapple exterior lighting and chandelier are ready to welcome you, and the lush tropical landscaping is meticulously maintained. The elegant tiled and covered entrance beckons you to step through stunning leaded double glass front doors into the grand foyer. Gleaming tile flooring leads you into the living are where canal water views take center stage through a virtual wall of sliding glass doors, just past the heated pool, screened lanai, and white picket fence. Vaulted ceilings, sliding glass doors, and stylish windows add even more volume to this spacious home, always bright and cheery with natural light. Youâll wake to beautiful water views through French Doors in the master bedroom, and the split bedroom floor plan ensures youâll always have privacy. Enjoy a cup of coffee in the breakfast nook or out on the lanai as you plan your day. 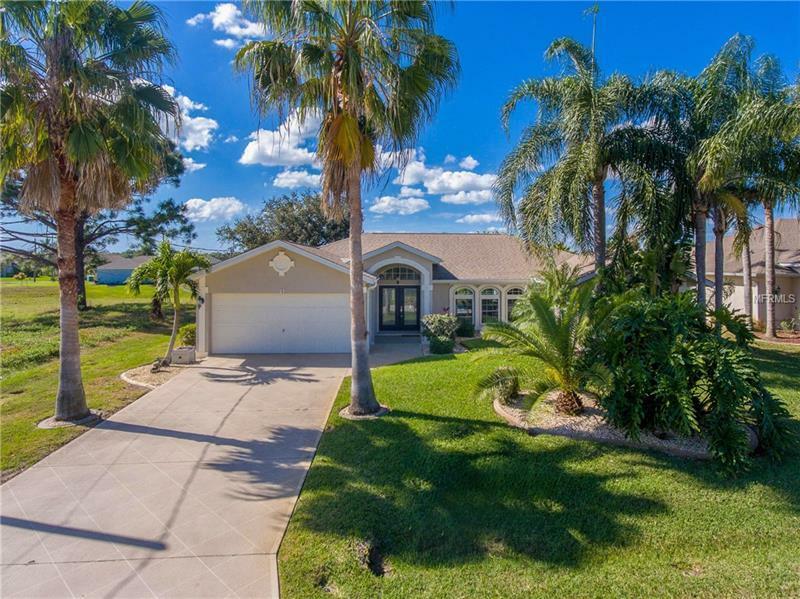 You are minutes from Englewood and Boca Grande Beaches, Marinas, Shopping, Restaurants, and the popular community of Rotonda West features 5 premier public golf courses so there is always something to do! You may just want to spend the day relaxing on a float in the pool â using the pool bath to keep your floors dry. This home is perfect for entertaining with a large kitchen that opens to the family room, a dining room and a living room. The hurricane shutters provide peace of mind, as does the newer roof. The fact that this home doesnât require flood insurance is icing on the cake!